While it is never wise to make predictions based off a league campaign, much less one game in that league, it appears based off Galway’s opening National Football League division 2 game as if they are to drastically change the way they play football. Playing with just two forwards for large parts of the game, Galway saw off Meath 2-13 to 1-12 on a cold, dry day in Salthill. The conditions were ideal for the players, with low temperatures, a little breeze and a dry pitch. Galway started excellently, racing into a 1-5 to 0-1 lead after 20 minutes. Playing with Adrian Varley and Danny Cummins as their only two inside forwards, Galway moved the ball quickly and showed great efficiency in hand-passing the ball up the pitch, before delivering a low ball in front of the lively Varley or Cummins. This tactic worked well early on as Meath originally played without a sweeper, allowing Cummins to grab two early scores. At the 21 minute mark a clever link-up between Sean Denvir and Adrian Varley worked a goal opportunity for Danny Cummins. His shot was blocked, but still crept over the line. Meath were hindered by slow build-up and an inability to win ball from their own kick-outs, as the midfield partnership of Fiontain Ó Curraoin and Tom Flynn operated with their usual efficiency. Two frees and a Paddy O’Rourke ‘45 brought Meath back into the game. Stephen Bray also grabbed a point, leaving the score to 1-5 to 0-5, before the score of the half came with Varley again getting in front of his man, dummying with his left, before slotting the resulting score from 30 yards. He could and probably should have followed this up with another score as again Meath lost their kick-out, but on the stroke of half-time, he kicked the ball just wide. Anyone hoping for a replay of last year’s seven goal thriller between these two teams was left disappointed at the break, but the game took on a higher level of intensity and quality after the restart. Walshe, Cummins and another Paul Varley score brought Galway’s tally to 1-9 and they could have had a goal after some great build-up, in which Shane Walshe featured heavily, was it not for a good save from keeper Paddy O’Rourke. Meath responded with an O’Rourke free and ‘45, a rare point from play and another Michael Newman free 18 minutes into the second half. This saw just a goal separate the teams. Stephen Bray was Meath’s target-man inside and kicked his second score to cut the gap to just two points. Galway responded in scoring three points. One of which started with Galway’s corner back Donal O’Neil dispossessing a Meath forward and hand passing the ball off. Within fourteen hand passes and no kick-passes, Ó Curraoin found himself just inside the ‘45 and kicked a great score. Shane Walshe, who in the first half worked tirelessly in defence to disrupt Meath, seemed to have more licence to attack in the second half and kicked a point, before finding himself in a one-on-one with the keeper and he slotted the ball low and hard to O’Rourke’s right to give Galway a 2-12 to 1-10 lead. The game was not with-out controversy as Graham Reily and Andrew Tormey both saw black-cards for off-the ball incidents. Late on, Patrick Sweeney replaced Adrian Varley and looked lively. 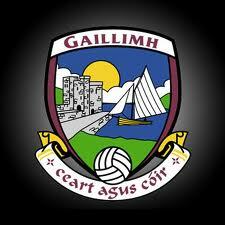 Despite a late goal from Jamie Queeney, a late rally never came and Galway ran out comfortable winners. Despite a defensive formation Galway moved the ball excellently and got runners off the shoulder consistently, Paul Varley in particular working extremely hard. Galway’s midfield partnership worked very well while the inside forward line of Cummins and Varley will certainly give full-back lines across the country something to think about. Galway: B O’Donoghue, D O’Neill, C Forde, C Sweeney, P Varley (0-02, replaced by D Kyne), G Bradshaw, G O’Donnell, F Ó Curraoin (0-01), T Flynn, S Denvir (0-01), E Hoare (0-02, 0-01f, replaced by M Martin), E Tierney, D Cummins (1-03, replaced by C Mulryan), A Varley (0-01, replaced by P Sweeney), S Walsh (1-03, 0-01f). Meath: P O’Rourke (0-03, 0-02f, 0-01 ’45), D Tobin, C McGill, M Burke, P Harnan (replaced by D Dalton), D Keogan, B Menton (0-01), H Rooney, A Flanagan, G Reilly (0-01), S Bray (0-02), A Tormey, (Replaced by J Queeney(0-1)) B McMahon (replaced by D Caroll), M Newman (0-05, 0-04f), J Wallace(replaced by S Tobin) .